Vittorio Adorni (born November 14, 1937) picked his fights, feeling he didn't need to win everything. But when he won, he won big. 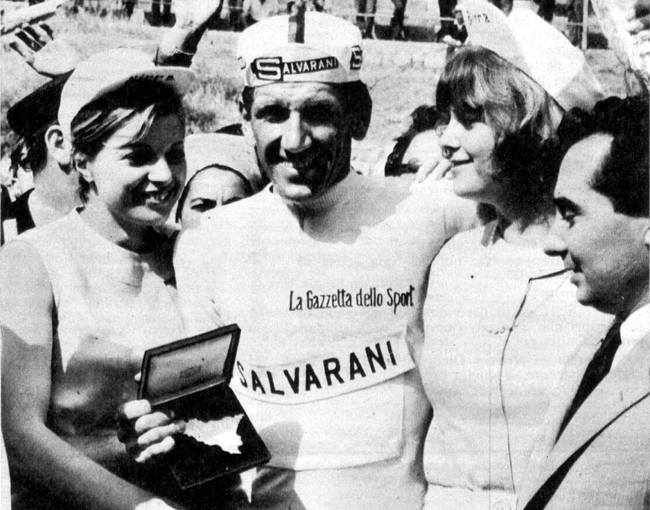 Both his 1965 Giro d'Italia win and victory at the 1968 World Road Championships were spectacular. He was a capable time trialist and track pursuiter and the peloton let him escape at its extreme peril. 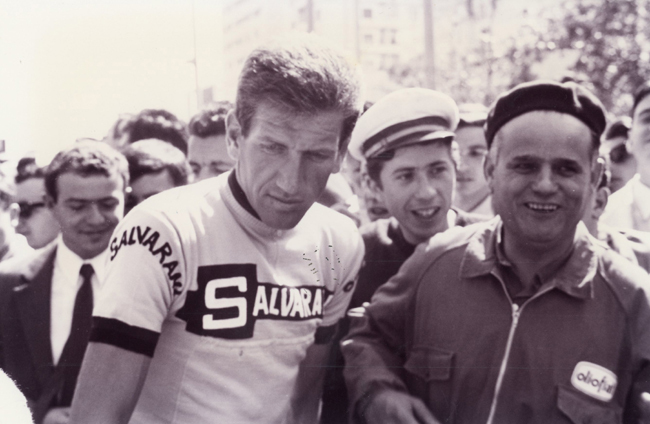 In the 1965 Giro he romped away from the field in stage six, taking the maglia rosa. 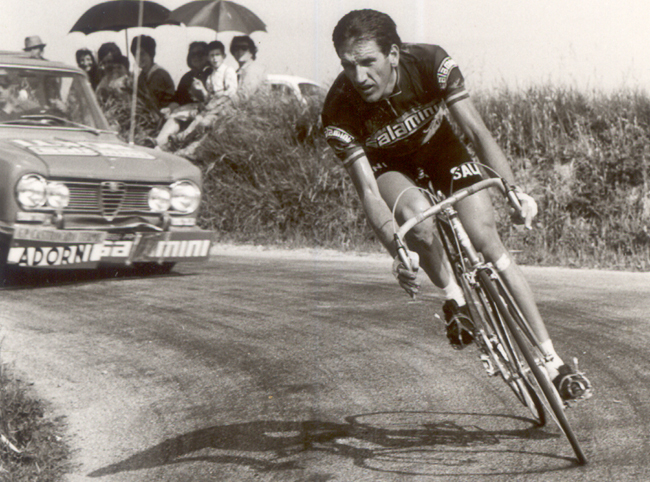 He lost the lead two stages later when a fuga bidone gained 15 minutes. He retook the lead for good after the stage 13 time trial, but he wasn't content to just control the pack and cruise to victory. 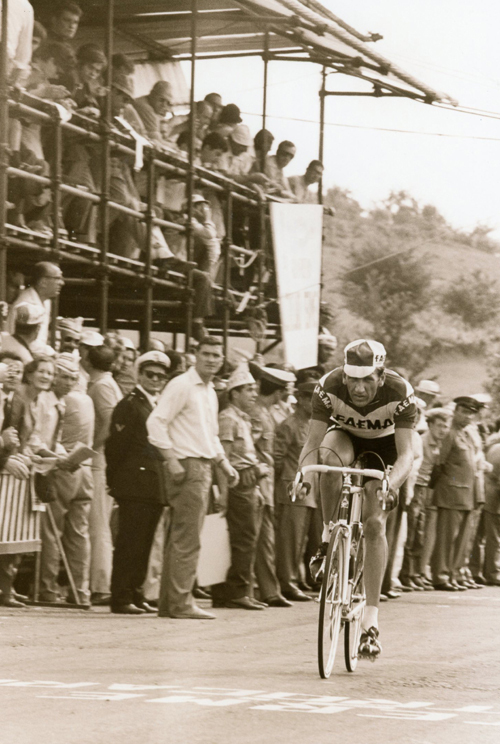 Late in the nineteenth stage he launched a spectacular attack on the Spluga Pass that left the best climbers like Vito Taccone, Italo Zilioli and Franco Bitossi several minutes behind. His final winning margin of 11 minutes 26 seconds remains the Giro's largest since Coppi's 1949 gap of almost 24 minutes. 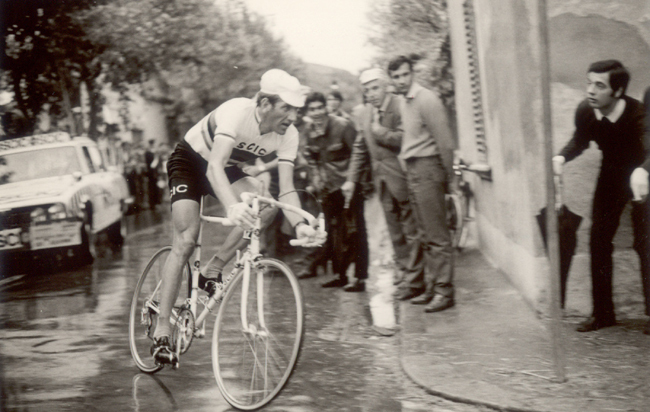 La Gazzetta dello Sport called him "The best maglia rosa since Coppi." His 1968 World Championship ride was one of the most dominating ever. On the Imola race course Adorni broke away on the fourth lap with Rik van Looy and Joaquim Agostinho. 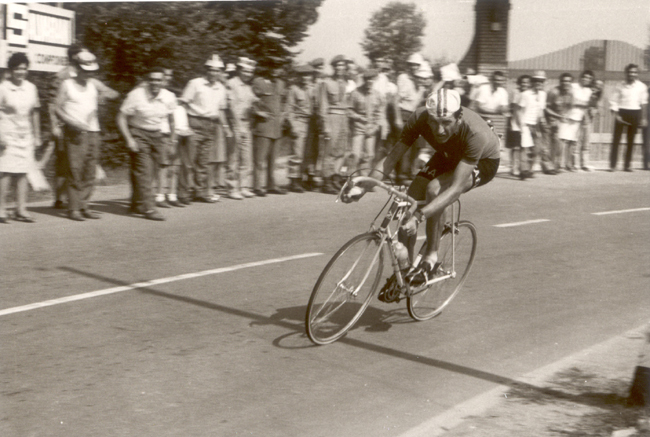 Having a very poor sprint, Adorni knew he dare not finish with van Looy, one of racing's fastest finishers. With 90 kilometers to go Adorni took off. The Italian team strangled the peloton and prevented an organized chase. Adorni to cruised across the finish with a lead of 9 minutes 50 seconds, the largest ever in a world professional championship road race. 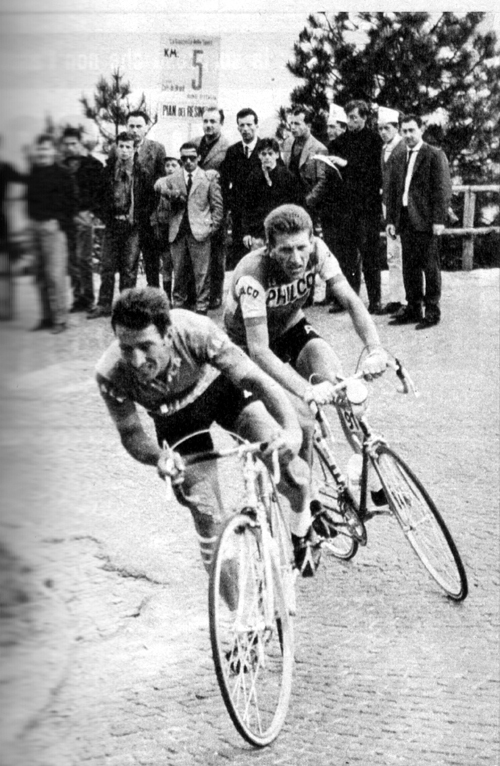 Vito Taccone leads Vittorio Adorni as they try to bridge up to a break in the 1962 Giro d'Italia. 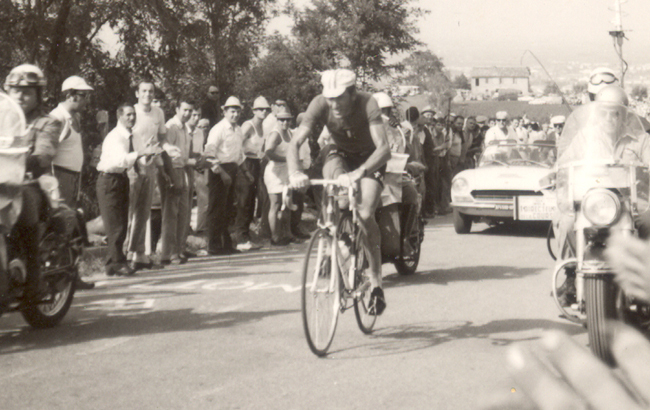 1963 Giro d'Italia: Vittorio Adorni attacks and Vito Taccone is chasing. 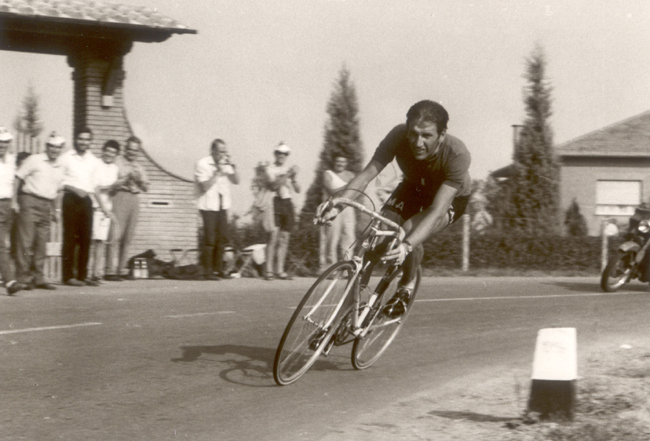 Adorni riding the 1965 GP Castracaro Terme. 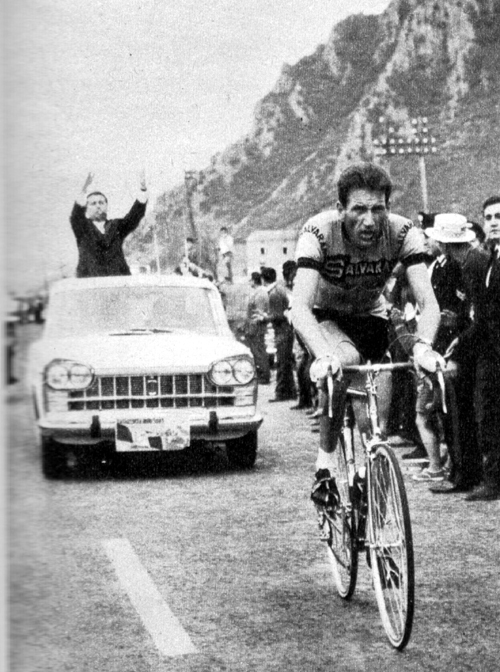 Adorni riding to a brilliant stage win and the overall lead at Pietrastretta in stage 6 of the 1965 Giro d'Italia. 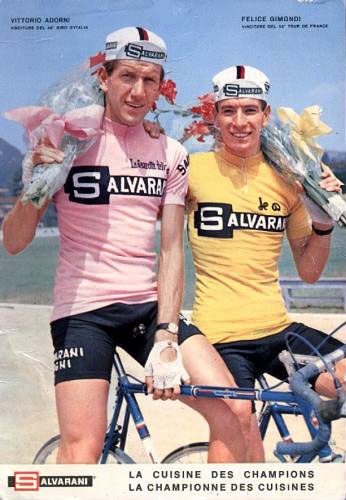 Vittorio Adorni as the new maglia rosa in the 1965 Giro d'Italia. 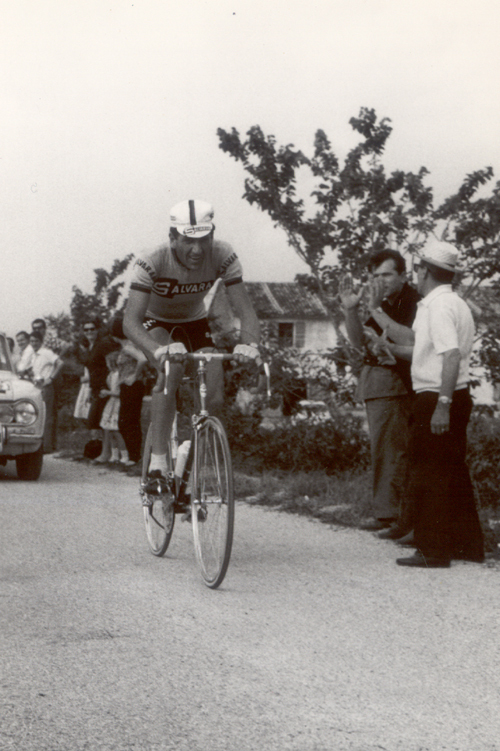 Vittorio Adorni in the 1966 Giro d'Italia, stage 12. 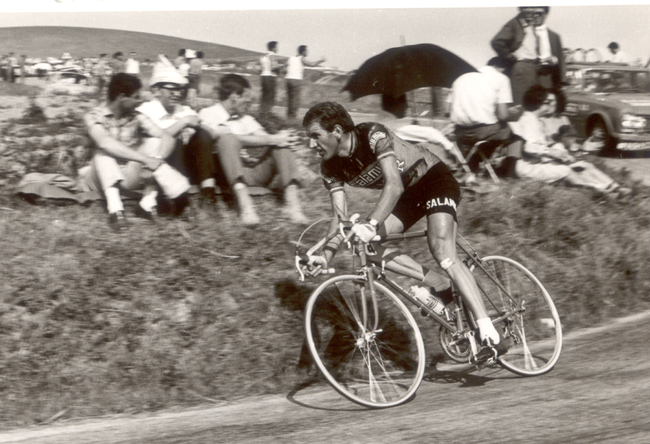 Adorni in 1967, riding the GP Castrocaro Terme. Another shot of Adorni in the 1967 GP Castrocaro Terme. Zoom! Adorni rounds a corner and heads downhill in the 1967 GP Castrocaro Terme. 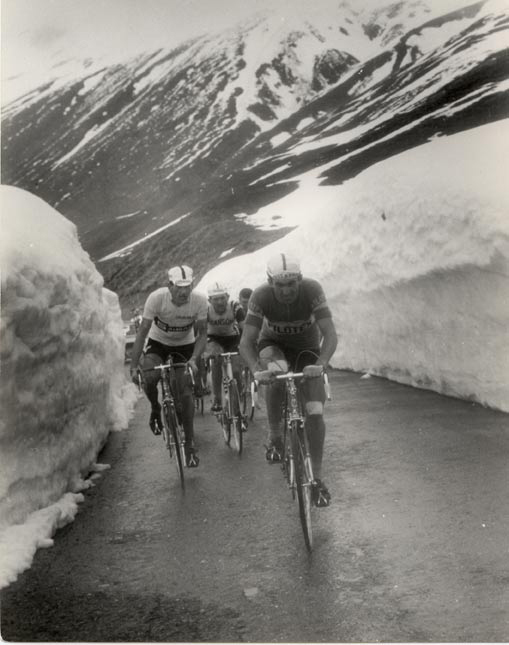 Franco Bitossi leads Adorni up the Stelvio in the 1967 Giro d'Italia, stage 20. Adorni in Faema colors riding the 1968 GP Castrocaro Terme. Adorni goes by the stands in the 1968 GP Castrocaro Terme. 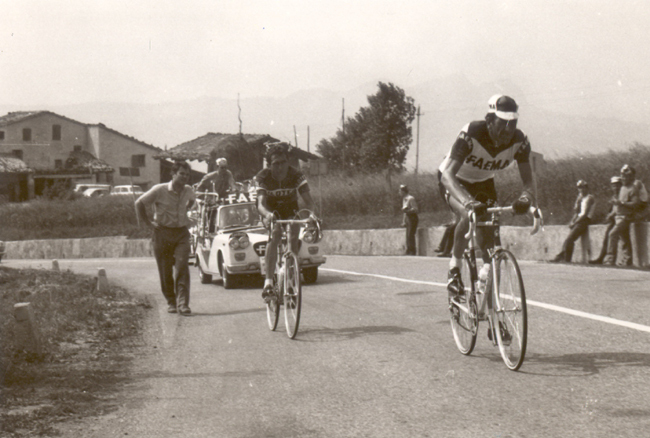 Adorni (Faema kit) in stage 16 of the 1968 Giro d'Italia. Adorni alone in the 1968 World Championships at Imola. 1968 World Road Championships, Adorni on his fabulous breakaway. 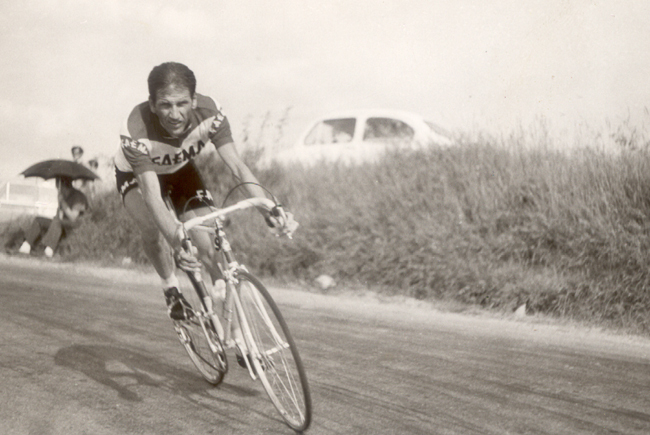 He's lost his hat, but Adorni is still riding away from the field at the 1968 Worlds. He's done it! 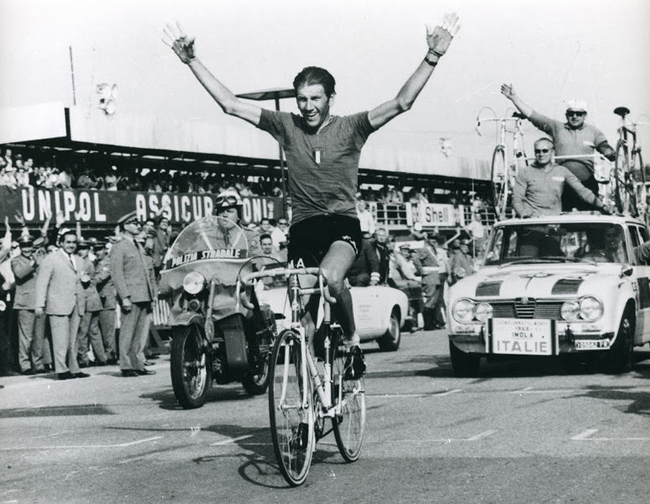 Vittorio Adorni has become the 1968 World Professional Road Champion. 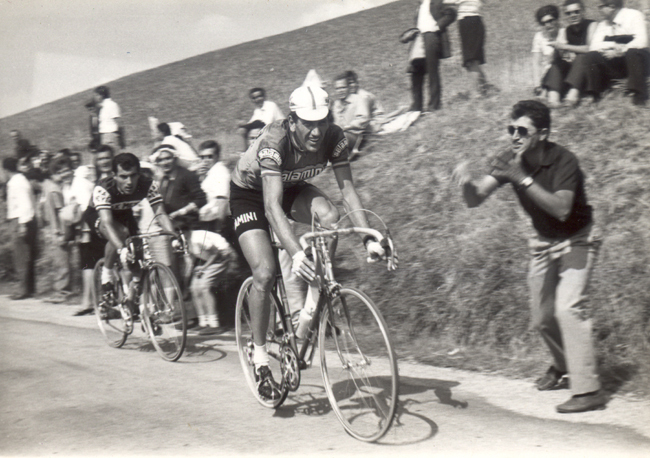 Wearing his rainbow jersey, Adorni rides stage four of the 1969 Giro d'Italia. 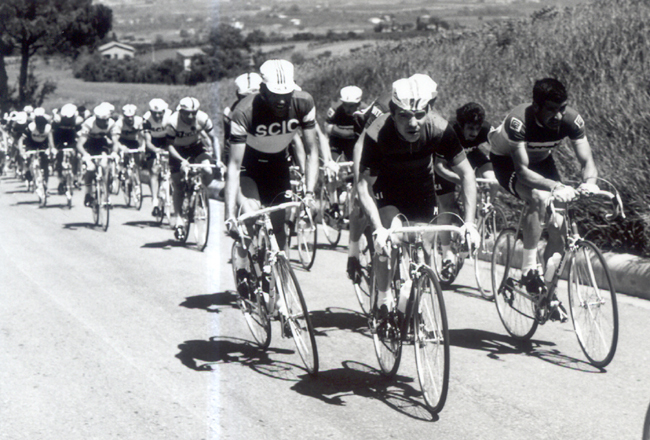 Adorni (in SCIC kit) rides the 1970 Coppa Placci. 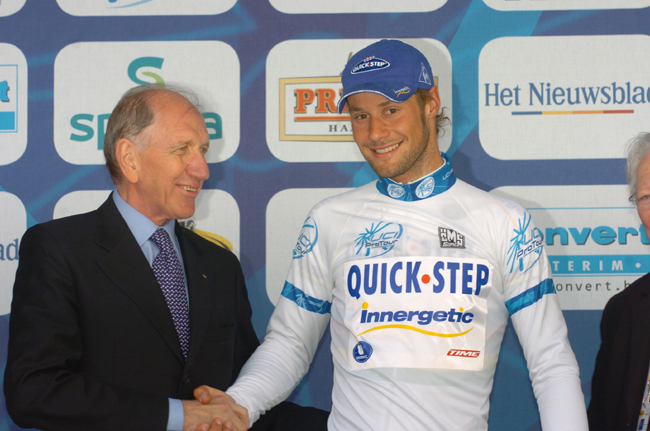 Adorni congratulates Tom Boonen at the 2006 Tour of Flanders.